The Egyptian Fayoumis are small, active, and lovely chickens that have been raised along the Nile River in Egypt for centuries. Even though they are quite common there, they are practically unknown in this country. We got our start of this very rare breed from one of the state universities whose poultry department was using them for special studies in genetics. 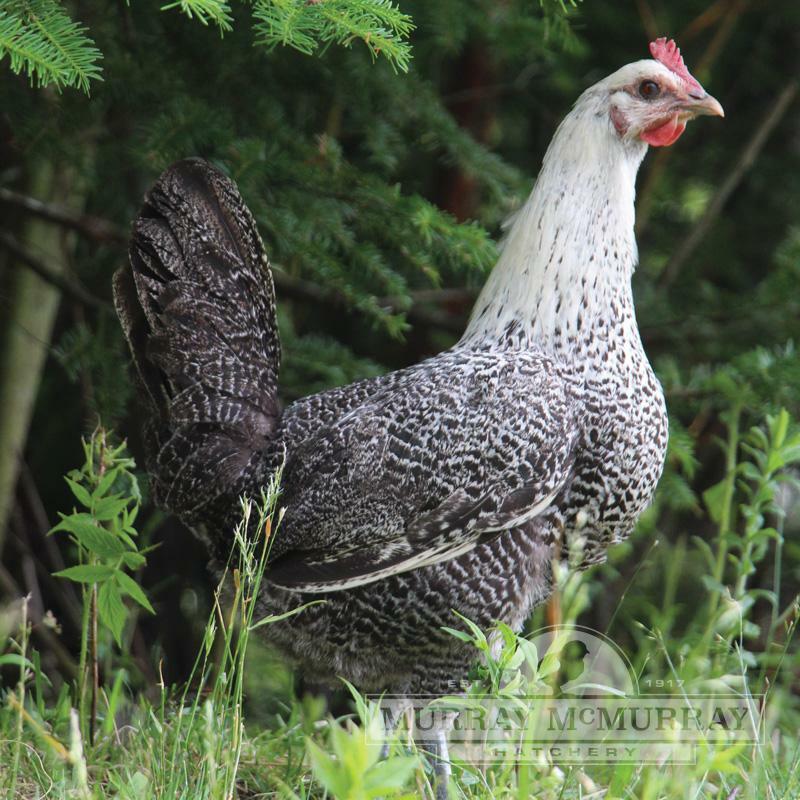 No other breed matures quite so quickly as these do — young pullets are apt to start laying their small tinted white eggs at 4 to 4-1/2 months, and the cockerels can start to crow at an unbelievable 5 to 6 weeks. 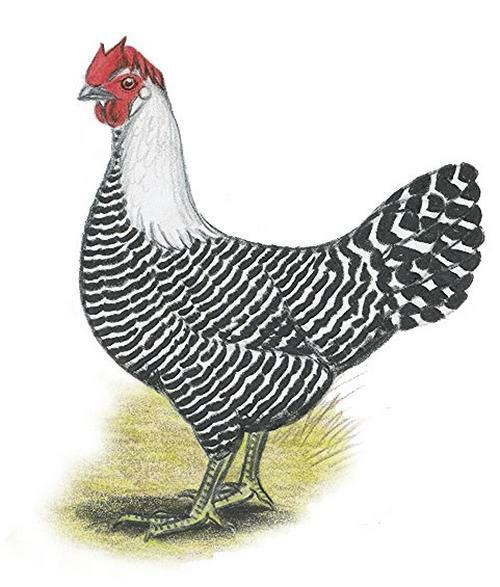 They are attractively marked with silvery white hackle and white bars on black background throughout the body plumage. Leg color can be either willow green or slate blue. 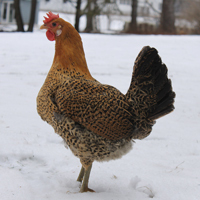 Baby chicks are highly colored in brown, black, and white markings on the back and a brownish purple head color. 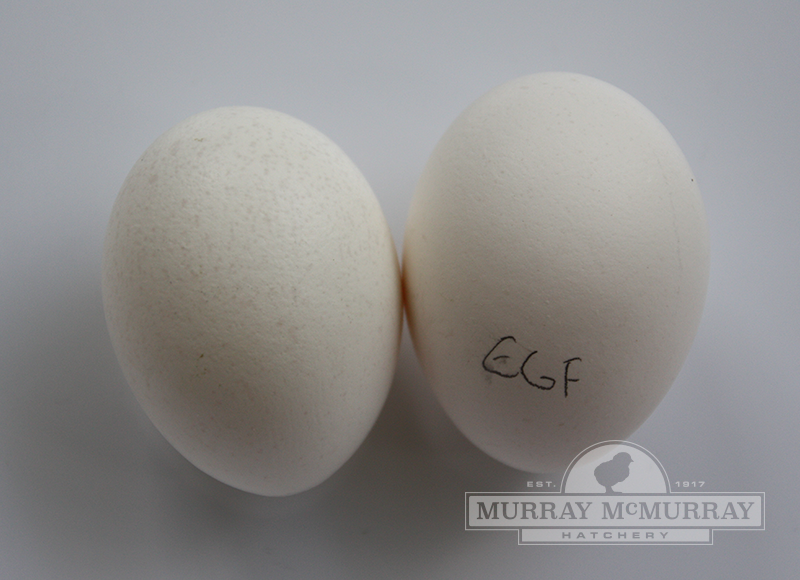 Egyptian Fayoumis lay a small white/tinted egg. Are these silver penciled Egyptian fayoumi's? They are black with white barring and silvery-white hackles. What type of temperature can this bird endure? Heat tolerant, but not very cold tolerant. 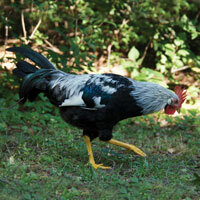 King Hot WingI have a mixed flock (6 breeds) but only one Egyptian and he is the Rooster. His name is Hot Wing. He is a really exceptional leader and makes the flock the best it can be. Extremely intelligent, undefeated, and very gentle with little ones. He also makes really good lookin' babies. I will definitely get more Egyptians. It is a must have breed for all my future flocks. Can't see them sidewaysOne of the most interesting chicken breeds I've ever had. They are lively, smart, and very talkative and active. They were pretty good layers early on. They lived a long time too. The two sisters were good buddies and one of them would BRAY all the time!